Aromatic Scent: Caraway Essential Oil has a sweet spicy odor with a slight peppery smell. 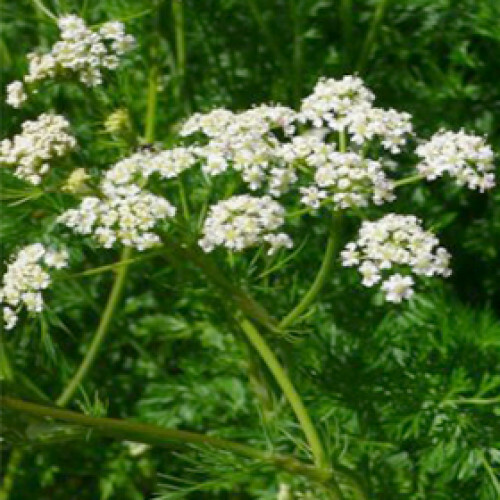 Common Uses: The chemical constituents of Caraway Essential Oil include anti-histamine, antiseptic, astringent, digestive, disinfectant, expectorant, and vermifuge as its properties. As an herbal expectorant, it helps to clear bronchitis, bronchial asthma and coughs. It is also helpful with sore throats and laryngitis. History: Also known as Meadow Cumin, Caraway is a very old and well known spice, used as far back as the Stone Age by the evidence in archaeological digs. The Egyptians used it as a flavouring in foods, the Romans in bread-making, and in the Middle Ages it found popularity among the Germans and Austrians in their cooking. The chemical constituents of Caraway Essential Oil include anti-histamine, antiseptic, astringent, digestive, disinfectant, expectorant, and vermifuge as its properties. As an herbal expectorant, it helps to clear bronchitis, bronchial asthma and coughs. It is also helpful with sore throats and laryngitis. Caraway is a very old and well known spice, used as far back as the Stone Age by the evidence in archaeological digs. The Egyptians used it as a flavouring in foods, the Romans in bread-making, and in the Middle Ages it found popularity among the Germans and Austrians in their cooking.